Susan (50-Foot Woman), toothy Insectosaurus, Dr. Cockroach, Missing Link and B.O.B. 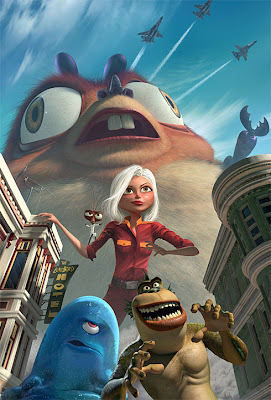 Do you like the designs for the DreamWorks Monsters vs. Aliens? Tell us what you think, and leave a comment down below.